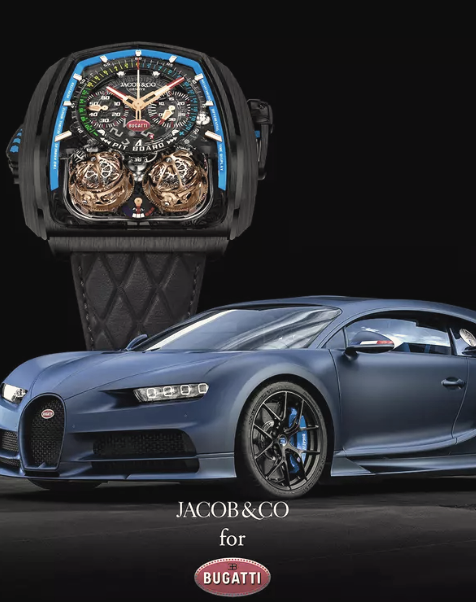 This limited edition Jacob & Co. high complication masterpiece is entitled the Twin Turbo Furious Bugatti Edition. 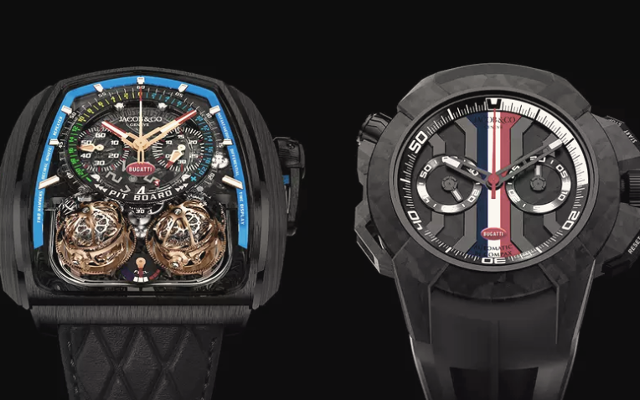 The first Twin Turbo Furious was the highlight of Baselworld 2018 when it launched, with its breathtaking twin triple-axis tourbillons, column-wheel chronograph and decimal repeater. Crafted with high-performance sports cars in mind, the Twin Turbo Furious Bugatti Edition features turquoise around the dial in homage to Bugatti’s 110 year anniversary Chiron. 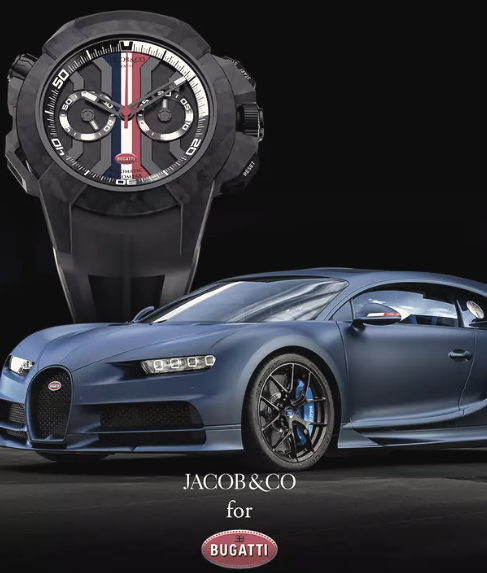 It positions the Bugatti logo proudly and prominently in the center of the dial and renames the power reserve indicator “fuel” and sports the colors of the French flag on the gauge. Just 39 timepieces will be constructed, with each numbered individually: 18 in carbon fiber, 18 in rose gold, and three embellished with diamonds. 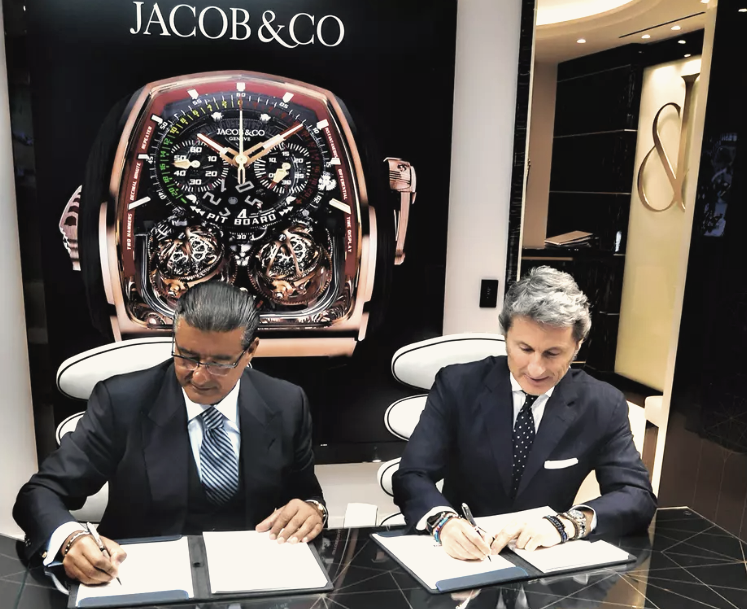 “For this project, we found the right partner in Jacob & Co. because we are both absolutely dedicated to innovation with superb technology, absolute beauty, craftsmanship and the highest quality of the materials”, explained Stephan Winkelmann, President of Bugatti, at the stand of Jacob & Co. at Baselworld. 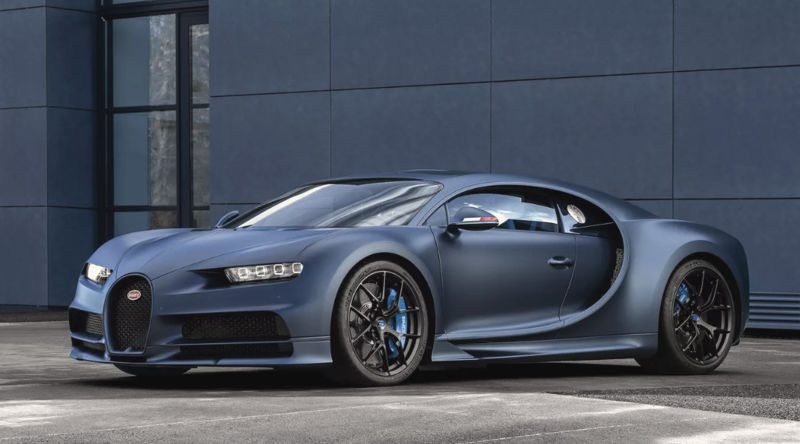 The exciting partnership will also see the release of a special iteration of a sporty “Bugatti Chrono Edition Limitée 110 Ans” in a limited edition of 110 pieces to mark each year since the founding of Bugatti by Ettore Bugatti in 1909. The defining technical element of the Epic X Chrono is Jacob & Co.’s JCAA05 skeletonized self-winding chronograph movement. This high-end chronograph caliber comes replete with a column-wheel to launch the chronograph functions. Its counters are arranged in a bi-compax format, with the small running seconds on the left — at nine o’clock — and the elapsed minutes counter on the right, at three o’clock. The elapsed seconds are read on the central French Flag Red chronograph seconds hand. The Bugatti version features a newly invented, specially forged carbon case and incorporates the colors of the French flag into its bold dial design underlining Bugatti’s heritage. The timepiece comes on a special rubber strap inspired by the iconic rear bonnet of the Bugatti Chiron and will feature the iconic “EB” logo on the buckle to commemorate the partnership.